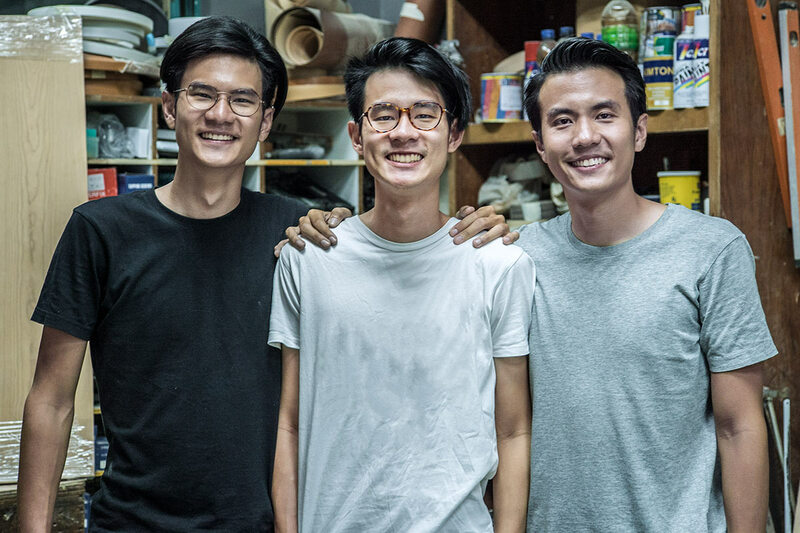 Creating made-to-order handcrafted furniture is all in the family for Singapore-based enterprise Roger&Sons. Can you tell us what it was like growing up with a father who was a carpenter? Ryan: When I was young, whenever there was an issue with our house, our dad would come to the rescue and fix it. And it wasn’t only limited to furniture. He was really a handy man, fixing everything from door hinges to bicycles. Morgan: Growing up with a dad that was a carpenter made my life so easy! Because of his vast knowledge and his ability to work with his hands, he fixed everything and that made our lives so much easier. The Yeo brothers (from left) Ryan, Lincoln and Morgan, are the brains and brawn of Roger&Sons. Why did you decide to focus on bespoke furniture pieces? Ryan: From using different materials to achieve a certain look, to understanding what the client wants and needs pushes us to achieve the very best that we can. Morgan: It’s also because we wanted to be able to challenge ourselves to do better carpentry and just bring the carpentry standard in Singapore to higher levels. 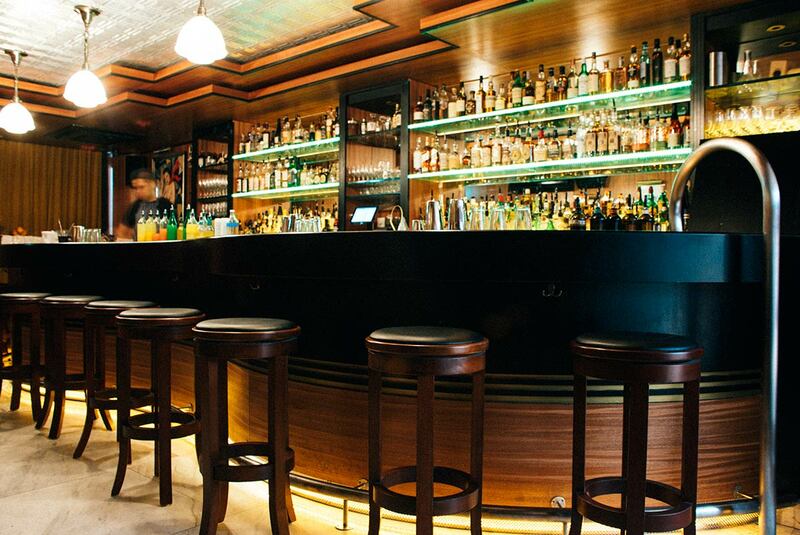 Roger&Sons created these solid nyatoh bar stools with swivel seats and black PVC cushions for cocktail bar Employees Only. What are your favourite pieces that came out of your workshop? Morgan: For Employees Only we created solid nyatoh bar stools with swivel seats and black PVC cushions, and bar and booth tables with vintage American diner metal edging. There’s also a pegboard display stand we did for Mr Marvelous and ceiling-hung rope cat shelves for Rebecca and Carrie just to name a few. We have the most fun with projects that allow us to be creative and different. We can’t resist projects that challenge us to do something we’ve never done before! This series of rope-hung cat shelves created for a customer is one of the brothers’ favourite bespoke pieces to come out of the Roger&Sons workshop. What types of materials are used to make your pieces? Ryan: If you can find it we can work with it pretty much. All types of solid wood (oak, nyatoh, walnut), all types of plywood (like birch ply), metal (brass, mild steel, stainless steel), acrylic, glass, mirrors, even LEDs. Some of Roger&Sons’ bespoke pieces can be seen (and used) at Palm Avenue Float Club, a flotation therapy centre. What would you like your customers to know about your company? Morgan: I want everyone to know that we are all just a one big family! Lincoln: That when we say we support local businesses, we truly mean that we place a priority on creating jobs for locals. This goes from the people we hire to the suppliers we choose to work with. Ryan: Also, we don’t want to be just the people that make your furniture, but people who you can enjoy a drink or two with! No limiting themselves to creating large furniture pieces, Roger&Sons also makes small pieces like this vintage-inspired beer crate stool. What are some plans in the pipeline for Roger&Sons? Lincoln: We are planning to create a [ready-made] furniture line that is simple, thoughtful, sensible, and with pieces that last. And on top of that the pieces must be easy to understand. Morgan: We are also looking for different people to collaborate with to push ourselves further! This was adapted from an article originally published in the December 2016 issue of SquareRooms.